Mumbai: Kokilaben Dhirubhai Ambani Hospital (KDAH) has apologised to the Maharashtra Medical Council (MMC) for offering incentives to doctors referring patients to the hospital. The hospital attributed it to the ‘over-enthusiasm’ of the marketing department and assured restraint in future. The cut offered to doctors ranged between Rs 1 lakh and Rs 2.5 lakh. The hospital’s apology follows a show-cause notice by the medical council in May. The MMC has now asked the BMC to take action against the hospital. Since MMC is a quasi-judicial body overseeing the functioning of doctors practising modern medicine, it can act only against doctors and not against hospitals. That’s why it has asked BMC to move against the hospital. 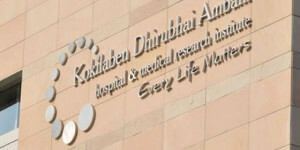 The MMC alleged the hospital has been sending entry forms, titled Elite Forum, to various doctors. “We had received the form from two doctors… it shows rewards for admissions. This indicates doctors are offered a cut for referring patients to the hospital,” MMC president Dr Kishor Taori said. The two-page Elite Forum form promises a “reward” of Rs1 lakh for 40 admissions per annum, Rs1.5 lakh for 50 admissions and Rs2.5 lakh for 75 admissions. “Cut practice is very dangerous and spoils doctor-patient relationship. MMC is trying to improve this relationship,” said Taori. dna has copies of the Elite Forum, the MMC letter to BMC and also KDAH’s apology. The cut practice issue shot into the public domain after Dr H S Bawaskar filed a complaint with the MMC against a private diagnostic laboratory. Bawaskar, based in Mahad had asked one patient to undergo a CT scan last year. The patient underwent the scan at a private diagnostic laboratory in Pune. After the test, the laboratory sent a cheque worth Rs1,200 to Bawaskar. When Bawaskar contacted the lab, he was told the cheque was his professional fee. Bawaskar then exposed the incident in a medical journal.